When it comes to travelling these days, the less time you can spend in line at the airport, the better. Every time you fly, your goal is to get in and out as fast as possible, with as little hassle as possible. The key is to pack light. Here are some simple travel tips to make that happen. If at all possible, the best way to travel is just with a carry-on, so you donâ€™t have to waste all that time wading through a sea of all that checked luggage rolling around on the conveyor belt. If you have to check luggage, you still want to keep it light, and keep it to one bag only. You may be scoffing right now, but it is all entirely possible. Hereâ€™s how you do it. 1. Start with a great suitcase. Something durable. Something colorful. Something with wheels and a retractable handle. Something that has lots of organized compartments and front pouches for important things you may need to access. 2. Know what you need to bring, and what you need to leave behind. Make a list. Pack your suitcase the week before your vacation, and then return to it the next day with a critical eye, and take out every single thing you absolutely donâ€™t need. No â€œwhat-ifsâ€ allowed. 3. Stick to a color palette for your clothes. Start with a neutral color that you can mix and match with lots of things, such as beige or black or cream. Then, add in color in your accessories. The goal is to make sure every single thing you pack, goes with everything else. 4. Be sensible with your shoes. They take up a lot of space, and it just doesnâ€™t make sense to bring six different pairs for different outfits. Wear your comfortable walking shoes on the plane, pack your sandals and one (yes, I said one) nice pair of shoes for going out. 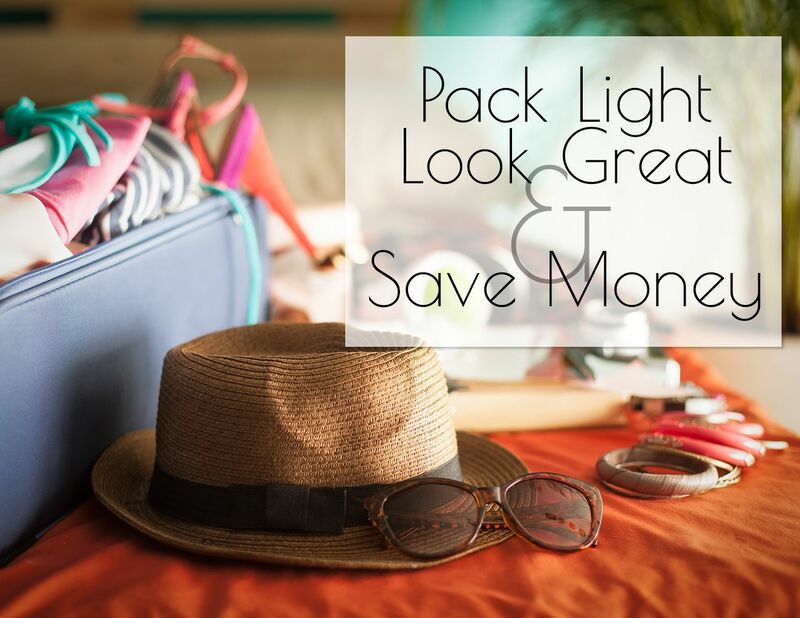 Throw in folding slippers for the hotel, and flip-flops for the beach, and youâ€™ll still have lots of room for everything else. 5. Pack a few scarves or light shawls, and some funky necklaces and bracelets and you can turn any dress into three or four entirely different outfits. 6. Invest in a good Toiletry Kit, so youâ€™re not bringing giant bottles of product, but just the amount you need. This will also help you get that carry-on through security if you make sure your toiletry kit is compliant with flight regulations. Most of them even come with a hook, so you can hang it on the back of the bathroom door when youâ€™re at your hotel. 7. Donâ€™t pack books, buy a Kindle reader and leave your stack of vacation paperbacks at home. 8. Donâ€™t forget you can buy things you may need when you arrive, such as toothpaste, shampoo or sunscreen. No need to bring it from home. 9. Last, but not least, invest in one of those incredible little folding nylon suitcases that are wallet sized to start, but fold out into a full sized suitcase. While itâ€™s important to pack sensibly at the beginning of your vacation, you will need room to pack all your souvenirs for the trip home.